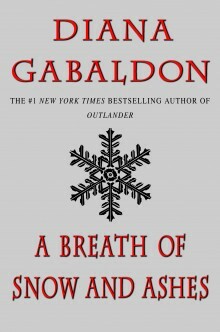 Making my way through the Outlander series by Diana Gabaldon, I’ve managed to get to book 6 titled, A Breath of Snow and Ashes. While I wasn’t a major fan of the previous book, this one was a joy to read. While it was still over 1400 pages long, Gabaldon managed to resolve many of the loose threads from the earlier books and set the stage for what appears to be the final battle. In this book we finally said good-bye to a villain that never lived up to Black Jack Randall, and got the chance to see Lord John return to the story in person instead of just through letters. The best part? He didn’t come back alone. The novel begins in 1772 on the eve of the American Revolution, and the Frasers essentially prepare for the impending war. Along the way many bad things happened to them, but they also experienced a great amount of joy. As the book goes on it inches closer to the dreaded newspaper clipping Briana and Roger discovered several books ago, and we finally learn how that panned out. Also, the mystery of who had threatened Jocosta Cameron in search of her gold is revealed. Like the other books the relationships between the Frasers and the other characters were what drove the story forward. As the Revolution divided the country, it also divided our beloved characters. Jamie is a man of his word, and he promised to be loyal to the Crown. However, he’s also the spouse of a time traveler who knows which side is going to win. This decision puts Jamie in a precarious situation. If her turns coat and joins the future Americans, he’ll be branded a traitor (again). If he doesn’t and stays loyal to the Crown, he’ll lose everything he’s worked for. Maybe even his life. The characters all seemed to struggle with their demons in the sixth installation. Jamie dealt with the fear of losing his honor. Claire dealt with the reality that she can’t save everyone. Roger dealt with the feeling of not being needed, and had difficulty dealing with his thirst for vengeance. Brianna struggled with assuming the role of an 18th century women. Ian was haunted by the life he previously had with the Mohawk. Maybe it’s just me, but this seemed like the darkest book in the series since Voyager, and I feel that’s what made ABOSAA a lot harder to put down than the Fiery Cross. While this book probably could use a trim, most of the extraneous details had a purpose and ended up coming back around in later chapters, which made this one hard for me to put down.